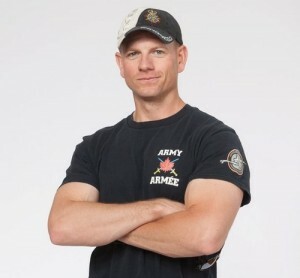 Sean “Corporal” Francis is an incredible Fit Body Boot Camp owner who has helped thousands of individual people in his community live happier and healthier lives. He’s a pillar of his community, known by everyone in his hometown as the resident fitness expert, and he’s a massively successful entrepreneur. Sean embodies everything that a Fit Body Boot Camp owner should be: he’s driven, determined, talented, and obsessed with marketing, selling, and growing his business. His incredible success comes from the pairing of this non-stop work ethic to the help, assistance and guidance provided by the Fit Body Boot Camp franchise. With all the marketing resources and lessons provided, with all the systems, procedures and processes laid out from the start, Sean was able to hit the ground running when he opened his location. With all of the help provided by our coaches and marketing team Sean was able to fill his boot camp with 100 paying clients the day he opened his doors. Now THAT is amazing. Hear from Sean himself in this video where he talks about his successes, his challenges, and how Fit Body Boot Camp has changed his life.